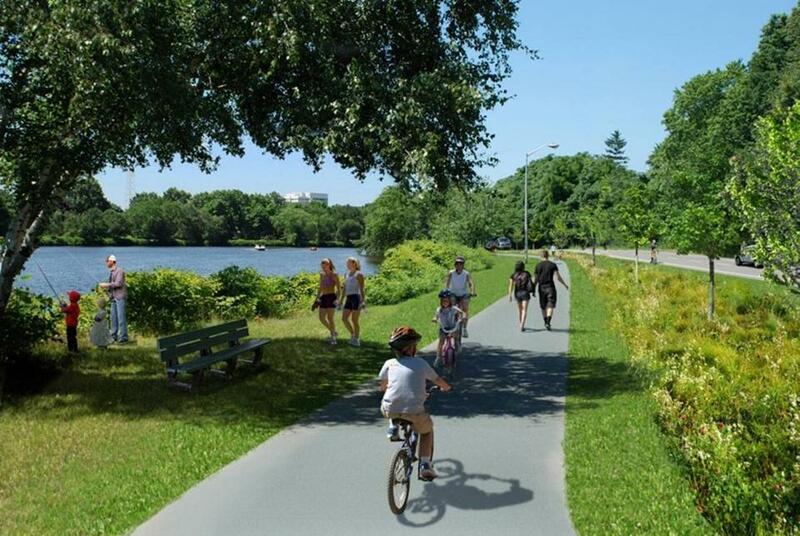 A rendering of a refurbished bike and hiking trail along the Charles River in Watertown and Cambridge. The state will accept public comments about the proposal through July 31; send e-mails to dcr.updates@state.ma.us. For more information, visit www.solomonfoundation.org.